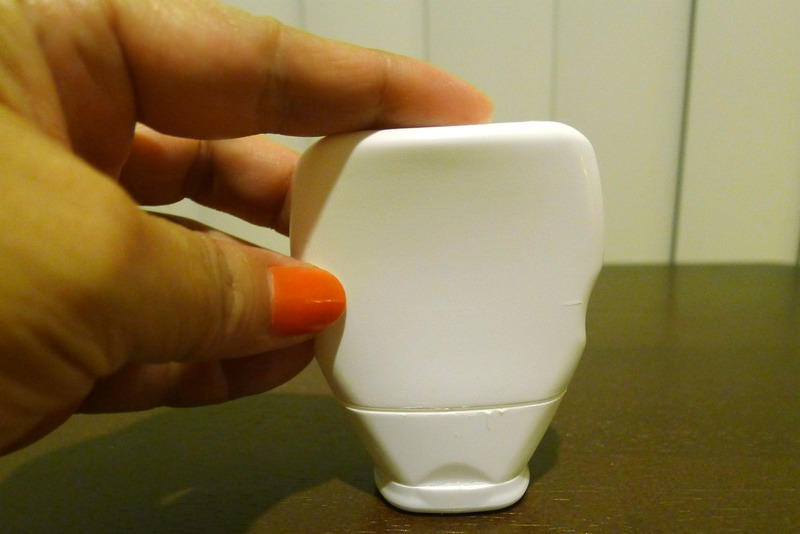 The Travelite FAQ – Travelite.org, your source for travel packing tips. Keep calm and carry on! This isn’t directly related to carry-on luggage for air travel, but I wanted to make a quick recommendation for a product I regularly use. This week, the U.S. National Football League announced a systemwide policy that prohibits taking any bags into an arena for one of their football games. I suspect this is the NFL’s way of dealing with the need for heightened security in the aftermath of the bombings during the Boston Marathon earlier this year. After all, if you can’t take in even a normal-sized purse of a fanny pack, you can’t sneak in a pressure cooker, right? The NFL is allowing small clutch purses “no bigger than your palm.” They are, however, allowing you to take a bag that’s transparent. My solution? A Tom Bihn 3D Clear Organizer Cube. The Tom Bihn 3D Clear Organizer Cube offers a good solution if you want to take a purse or small everyday carry into an NFL stadium. Photo courtesy TomBihn.com. 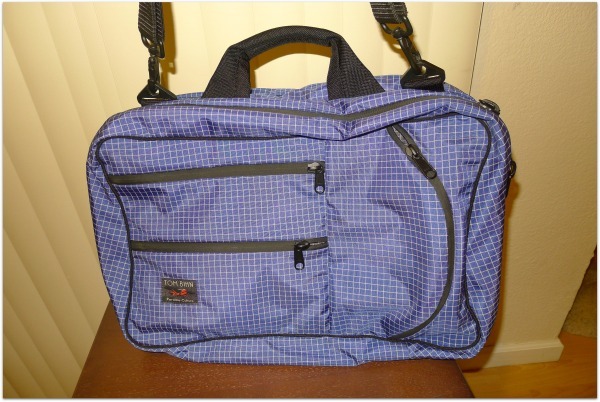 The Tom Bihn 3D Clear Organizer Cube is a good solution for taking a “purse” in to an NFL stadium. Mind you, the organizer is on the smaller side, but you should be able to fit your wallet, sunglasses, game ticket, mobile phone, small tube of sunscreen, lip balm, comb, tissue, and a few other items that you might not want to have taking up all your pocket space. The organizer is $22, and for an additional $3.00 you can add an adjustable shoulder strap that lets you wear it as a crossbody bag. If you want to argue that it’s a clutch, I would suggest also picking up one of Tom Bihn’s Handle Loops for another $3.00 so you can carry it like a clutch. Ladies—if you have anything you don’t want others to see, I suggest taking a handkerchief or bandana with you. Once you’re inside, unfold your handkerchief and line the inside of the organizer with it so the panels are no longer easy to see through. With all the different colors the organizer cube comes in, I bet you can even get one that coordinates with your favorite NFL team’s colors. About a year ago, light-packing travelers drew a collective gasp when Spirit Airlines announced that it would start charging $20 for carry-on bags. There was a catch. That $20 was the pay-in-advance fee; you would be charged more if you showed up at the check-in counter. This fee would increase if you managed to sneak past the check-in crew and show up at the gate. Last October, that gasp turned into shock when Spirit began implementing a new fee: a whopping $100 to check in your carry-on bag at the gate. That’s almost more than the price of your airplane ticket. There is a trick, though. This fee is only charged if you can’t place your carry-on under the seat. Basically, what this means is that anyone with an internal frame (or hard-sided) rolling upright that’s 21 inches long, like those you see from TravelPro, would get dinged because it lacks the give to stuff under the seat. What do the smart light-travelers do? 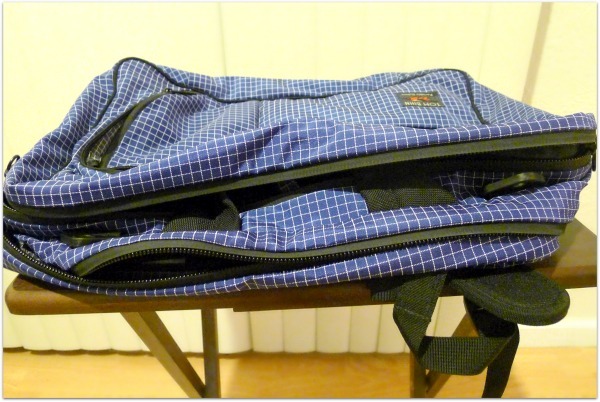 Use a soft-sided bag like those from Rick Steves, Patagonia, or Tom Bihn. As big as their carry-ons look, if you don’t stuff them ’til they burst at the seams, you can put them in the underseat area. … and my suggestion, if you fly Spirit, is to avoid overpacking (we’ll save that for another discussion). Allegiant Airlines joined Spirit last spring with this fee, and now, we see another domestic carrier: Frontier Airlines today announced that it, too, will start charging for carry-on bags. It’ll cost you $25 (or that nasty $100 if you go to the counter). The thing is, this baggage fee is imposed only if you don’t purchase your airline ticket online from Frontier’s website. Do people even phone airlines to buy tickets anymore? Apparently Frontier’s press release is spinning this to make it sound like a benefit for its website users. Oh, and they are also waiving this fee for its elite frequent flyers. I guess we’re just penalizing the 80-year-old grandmas who still make phone calls on their landlines to make travel plans to visit their grandchildren. Frontier says an acceptably sized carry-on bag can be no larger than 18″ by 14″ by 8″. That’s actually pretty compact, and a lot of the maximum-sized carry-ons (like Rick Steves’ Classic Back Door Bag) would be too big. The good news? Tom Bihn’s Western Flyer is only 18″ by 12″ by 7″, giving you a bit of breathing room. Just wanted to thank the many people who bid on the various items I put up for eBay. I even saw a few bidding wars for a few items (like the Synapse and the Aeronaut). In the end, the auctions raised $926.52 (that’s almost a thousand bucks!) for my fundraising efforts with Team ASPCA. On May 11, 2013, I will be running in the 2013 Santa Barbara Wine Country Half Marathon as a member of Team ASPCA, a national fundraising and marathon training program. I am excited to be participating as a member of Team ASPCA and honored to be raising the awareness and the much needed funding to support the ASPCA’s programs. As part of my fundraising efforts, I’m parting with some of my own Tom Bihn bags via eBay’s Giving Works charity fundraising program. This is an extremely rare Western Flyer, as Tom Bihn no longer offers this color combination. This is an older model Western Flyer. 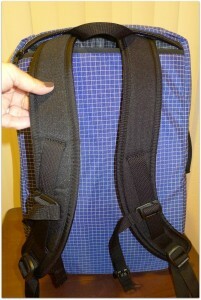 It’s basically identical to the Navy/Solar model except that the front bottle pocket is open and doesn’t have a zipper. This is a little more convenient for getting to for some people. This is Tom Bihn’s signature carry-on bag, the one he got famous for. It’s an unusual shape that combines the concept of a duffel bag with the convenience of a travel case. You can also view these all in one page. These auctions end this coming Saturday, April 13. In addition to these auctions, you can also simply donate directly via my fundraising page. Your tax-deductible donation will help the American Society for the Prevention of Cruelty to Animals continue to provide local and national leadership in three key areas: caring for pets and pet parents, providing positive outcomes for at-risk animals and serving victims of animal cruelty. The ASPCA is very important to me and I appreciate your help as we fight to end animal cruelty, homelessness and neglect. I am doing this race in honor of my cat Pixel. Pixel was a rescue–when I first met her, she was just a little black dot, a scared abandoned kitten who was found alone in a gas station parking lot. The moment I held her, my heart melted and I knew I wanted to keep her safe and warm, raise her and care for her. Since then, Pixel has become a healthy and loving cat. But there are so many cats and dogs who still need our help. If you have any furry friends or have ever adopted a shelter animal, won’t you please consider supporting me by bidding on my auctions or making a donation? We can help make such a positive impact in the lives of animals living in my community. No amount is too small! If you work for a larger company, your employer might have a matching-contribution program as well, doubling your impact! Warrior I. Child’s Pose. Downward Dog. These are some phrases you might hear during a yoga class at your gym. But even if you think yoga is strictly for vegan hippies and not for you, its current popularity has spurred a huge growth in the clothing industry, and there’s one particular item of yoga clothing that I now refer to as the traveling woman’s secret weapon: yoga pants. If you haven’t heard of yoga pants, they aren’t completely revolutionary. They’re very basic pants; the idea is that you can wear them as you contort yourself into various pretzel shapes while you do your yoga. They are always made of stretchy material, but unlike cheaper polyester, those designed specifically for yoga are often made of a poly/spandex blend that provides a better fit. So what makes yoga pants such a great travel companion? There are no zippers to catch, buttons to pop, laces that can knot up. The typical pair of yoga pants will have an elastic waistband and nothing to catch or lose. Their sheer comfort means they’re great to wear on the plane; nothing binds, and the pants will not cut off the circulation in your legs. If you need to dress conservatively, you can wear yoga pants with a long shirt or straight-line “dress” so you aren’t showing bare legs. Since yoga pants are designed for exercise, you can hit the gym or go on a nature walk in them, and leave your jogging or compression shorts at home. What makes this a true secret weapon: in classic black, they can look like a pair of slacks, so that you can wear it to a corporate setting! Just pair it with a business jacket and button-down shirt or blouse! About the only down side is the price. Yoga pants tend to be priced higher, probably because it’s a niche market item, and because women who want to buy clothing marketed specifically for yoga are likely considered flush with money. For example, one brand famous for yogawear is Lululemon. Their popular Groove Pants are roughly $100 a pair, which is enough to induce sticker shock for a lot of folks. Lululemon does offer free hemming, but that’s little consolation if you don’t live near one of their retail shops (since they don’t offer their service via mail order). Even stores like REI, which offers yoga pants from various brands, maintain a price point of around $50 to $60 for a pair. Make sure all the seams are double-stitched; that is, they need to be well-constructed so they can handle a lot of wear, and a lot of pulling and tugging. A $20 pair of “yoga pants” from Wal-Mart or Target might be enticing, but it will be cheaply made and may not last you as long as the more expensive brands. I realize that’s OK for some; just be aware of what you’re buying. Try them on before you buy them. If you have to order online, make sure the retailer has clear and reasonable exchange/return policies. The pants should fit well without being too loose around the waist or hips, or so tight that you get a “muffin top” look. Some models of yoga pants provide a loose waistband that you can fold over, which is far more forgiving. Make sure the hemline works for your height. If they are so long that they drag on the ground behind your heels while you’re wearing shoes, they’re too long for travel. There are many ways to remedy this (including stapling or taping the hems in a pinch), although some places offer hemming services. Do not confuse “leggings” with pants. “Yoga leggings” are designed to be tight down to your ankles. While they are great for yoga and exercise, they do not look like pants, and thus do not provide the versatility for travel. If you’re looking for a comfortable pair of pants to fly in, lounge around in your hotel room in, work out in, and even go to your business meeting in, consider getting a pair of yoga pants. Seattle-based bag manufacturer Tom Bihn has been selling his popular Western Flyer carry-on bag (in the classic hideaway backpack straps version as well as the more recent rolling luggage handle version) for several years now. The medium-sized bag, a smaller sibling to the larger Tri-Star, has been popular with light travelers as a main carry-on bag, with those looking for a hefty laptop/briefcase overnighter, and with those looking for a generously sized carry-on to complement their check-in luggage. The Tom Bihn Western Flyer in Nordic blue Dyneema. Photo by Lani Teshima. 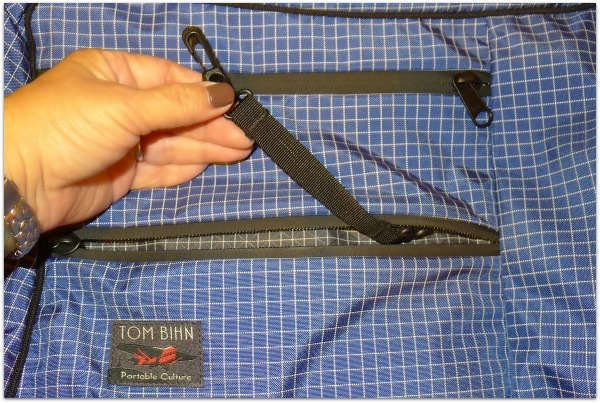 Tom Bihn worked extensively with his fabric manufacturer in Japan to come up with a heftier version of the lightweight, slash-proof Dyneema nylon fabric he used as a liner for his travel bags. Wanting to offer a heavier version of the fabric that he could use as an exterior fabric on his carry-on bags, the result is a 400-denier weight version that is twice as thick as the 200-denier weight Dyneema (which Tom Bihn uses as a liner fabric and for lighter-weight items like the shopping bags). The front pocket can it an iPad or small magazine. Photo by Lani Teshima. The new fabric was announced through the website earlier this fall and was offered in two colors—the familiar dark gray “steel” and a new “Nordic” blue—Tom Bihn, for the first time, introduced 400d Dyneema nylon carry-on bags in his three main models: The Aeronaut, the Tri-Star, and the Western Flyer (as well as in some of his smaller products, incuding the Synapse backpack and Small Cafe Bag shoulder bag). The main selling point on the Dyneema version of these bags is lighter weight. Most of the 400d Dyneema models are roughly 20 percent lighter than their ballistic nylon counterparts. This may not seem like a big deal for some, but those on the Tom Bihn forums needing to minimize their carry-on weight in order to meet the more stringent requirements of European air carriers welcomed this announcement with great cheer. Of the three main carry-on bags Tom Bihn sells, the Western Flyer is the smallest. Shaped like the Tri-Star, the Western Flyer is smaller. Only 18″ by 12″ by 7″, it is substantially smaller than the maximum allowable carry-on size for most airlines (which is typically 21″ x 14″ x 7″), and when not fully packed, can easily pass as a larger laptop case. The backpack version of the Western Flyer has hideaway backpack straps that zip up into a compartment in the back of the bag. Photo by Lani Teshima. The hideaway backpack straps are nothing to sneeze at. They’re sturdy, padded, and contoured so you can wear the bag comfortably. Photo by Lani Teshima. The Western Flyer has two main compartments, as well as smaller pockets in the front. The main compartments open completely, allowing you to pack clothes in one compartment and electronic gear in the second, for example. When I pack my Western Flyer, I typically pack clothes in the back compartment, and use the front compartment to pack extra shoes, toiletry bag, makeup bag, and other extras in organizer pouches. This leaves the front zippered pockets for stashing smaller items I might need for the flight, like iPod, earphones, boarding passes, and wallet. 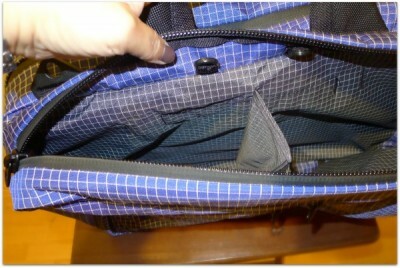 The main compartment unzips completely and lies flat, making packing much easier. Photo by Lani Teshima. I’ve been traveling regularly with a Western Flyer for a number of years. I consider it my go-to carry-on, and although I turn to the bigger Tri-Star for dual-purpose trips (two different climates, two different types of trips rolled into one, and so on—my next one will be a week-long cruise in February followed by a half-marathon, on the same trip) and have traveled with smaller bags, I am most familiar with the Western Flyer. I’m familiar with the size of the compartments. I know what I can fit into them. I know what I typically pack into the segments. The front compartment also opens up fully, however it has a center divider that lets you separate the space into two segments. 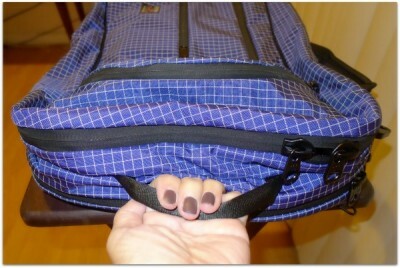 To open the compartment completely or to not use the divider, simply unzip it. Photo by Lani Teshima. So when I got my hands on the Dyneema version of the Western Flyer, there weren’t a lot of surprises. For Western Flyer fans, you can rest assured knowing that the Dyneema version is identical to the ballistic nylon version. All the zippers work the same way, the insides are still lined with (the lighter 200d) Dyneema, all the internal seams are covered. 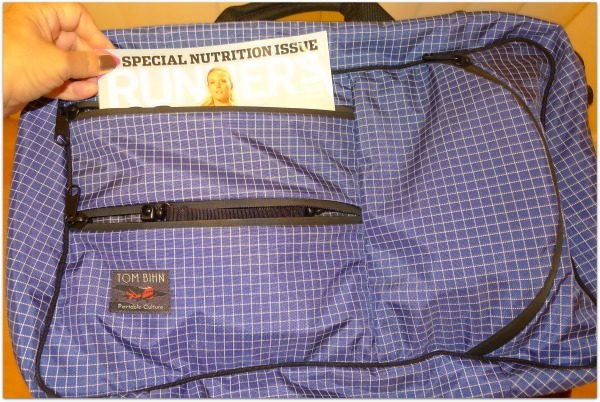 The bag is lighter, but there’s nothing here that feels cheaper about the new fabric. Small touches, like a key strap in one of the front pockets, and little plastic rings on which to clip your keys, are hallmarks of a well-made bag from Tom Bihn. Photo by Lani Teshima. Lighter – it’s one thing to read that the Dyneema version weighs 20 percent less, and another to actually walk around with a packed bag. I’m short (5-feet 3 inches in thick socks), and the lighter weight of the bag was quite noticeable when I was walking around carrying the bag with the backpack straps. Far more forgivingwhen packing – I hadn’t really considered this, but it made sense once I gave it some thought. 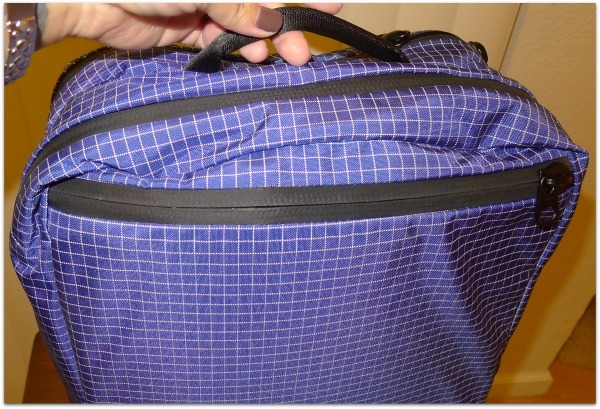 You can really cram stuff into the internal organizer cubes Tom Bihn sells, and they’re made from Dyneema, as well. Dyneema is thinner and very flexible—so it’s easy to squish it down when you zip it up. A good comparison is the front pockets on the Western Flyer. I’ve typically stored my iPad in one of them, but it’s always been a very tight fit, and with the ballistic nylon version, I’ve had to shimmy the iPad in and tug and pull at the corners of the pocket to get things to seat right. No such hassle with the Dyneema version; the fabric “stretches” and has more give, making stashing the iPad much easier. 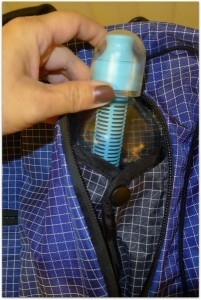 The bottle pocket is a good example to test out the fabric’s give. Try to fit a wide bottle in the pocket and zip it up. It feels much easier with the Dyneema version. Photo by Lani Teshima. Folds down flat– this was a factor I didn’t even think about. But when I got to the hotel, I unpacked everything into the closet and dresser. I usually keep my bag on the valet stand because I don’t want to just sit it down, empty, on the floor. But I discovered that when I emptied the bag, it lay as flat as a pancake. So I wound up putting the emptied Western Flyer in a dresser drawer and stashed it out the way. This would come in really handy when you’re staying in a tiny hotel room where real estate is at a premium, or when you’re on a cruise ship. 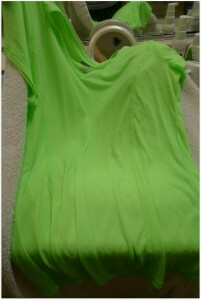 Since it’s so light when empty, you could even zip everything back up and hang it up on a hanger in the closet. The Dyneema Western Flyer folds down very flat when empty. Photo by Lani Teshima. Super smooth surface– if you’re a fan of Dyneema like I am, you know that the fabric is super-smooth. Nothing snags on this fabric. And if you get any dirt on it, you can just wipe it off and it comes off right away, and smaller bits of dirt won’t get caught in the weave of the fabric. The Dyneema feels slicker than the ballistic nylon, and even though the Western Flyer is the same size regardless of which fabric you get, the Dyneema version seems much easier to slide in and out from the underseat area on the plane. I found it really easy to pull the Dyneema Western Flyer out from the area with the side handle during the flight as well. The padded side handle makes it very easy to pull the bag out from under the seat in front of you on a plane. Photo by Lani Teshima. Fashionable – I didn’t think I’d hear myself say this because I’m more into the practical, but the Nordic Dyneema is quite stylish. It’s a great color; a deeper indigo hue that leans a little towards violet. It’s a great unisex color, and a real standout against the sea of bland, boring black bags everybody carries. Also, those using a Western Flyer as their briefcase may not want to use a bag with checkered fabric, instead sticking with the more traditional black ballistic nylon. As a big fan of Dyneema as a fabric, I think the Dyneema version of the Western Flyer is a wonderful addition to the Tom Bihn line-up. But if you already own a Western Flyer in ballistic nylon, should you buy the Dyneema version? The answer depends. If you use the Western Flyer for mostly car travel or you fly domestically on airlines that don’t have strict weight limits on carry-ons, or if you already really like your ballistic nylon Western Flyer and you’re happy with the color you already have, I don’t know that you necessarily have to swap out bags. The Dyneema version might be lighter, but it’s not lighter on your pocketbook; it still costs $210—which is still a ding on most people’s wallets. If you’re a fan of Dyneema or really like the Nordic blue, you can recover a lot of the cost if you sell your ballistic nylon Western Flyer (say on eBay), especially if your bag uses a retired color (for example, with the yellow Solar interior), since there always seems to be people eyeing the market for such items. Or maybe you don’t need a second Western Flyer, but you have a close friend or family member who’d appreciate your ballistic nylon Western Flyer. You might even be able to use it as an excuse to help convince someone to try carry-on-only travel. If you don’t yet have a Western Flyer, consider getting the Dyneema over the ballistic nylon if you want a lighter bag that uses a smoother fabric, and stands out a bit more. If you’re a big fan of Dyneema already and you don’t own a Western Flyer yet, what are you waiting for? Get your bag now! One additional note: If you like your purse (or “personal item” or ECD/”everyday carry”) to match your carry-on, consider getting the Dyneema Western Flyer and combine it with the Small Cafe Bag. Tom Bihn has introduced the popular unisex ECD bag in 400d Dyneema as well. Available Dyneema nylon colors: Nordic Dyneema (blue) exterior with Steel (grey) interior; Steel 400d Dyneema with Steel interior. Also available in traditional ballistic nylon colors. Where to buy: TomBihn.com website or at their factory store in Seattle. Additional notes: The bag does not come with a shoulder strap; the website offers an optional $30 padded “Absolute Strap” but if you want a plain strap you need to purchase the “Simple Shoulder Strap” ($12) from their Accessories page (hint: the Absolute Strap is much more comfortable). Of these choices, the first (washing by hand) is probably the easiest. It doesn’t take up an hour or two while you wait for machines to get done, doesn’t require you to find a laundromat nearby, and doesn’t cost the large fees hotels typically charge. Let’s look at these options in a bit more detail. Using your hotel’s laundry facilities is a great option for a lot of people, especially families—it doesn’t cost as much as requesting laundry services through your hotel, and you don’t have to leave your hotel. This might not be such a great option if you’re traveling solo and don’t really have enough for a load of laundry, the machines are very popular and you have to wait all night for an available machine (especially during a busy travel season or on a cruise ship, where cabin luggage storage space is at a premium and everyone wants to wash all their beachwear), or you haven’t planned your wardrobe to put everything in a single load (different fabrics, water temperature, and so on). Just do a little planning; check to make sure the hotels you are staying at offer laundry facilities, and consider taking a few Purex laundry sheets. They take up almost no space in your bag; just take them out of the box and pack them in a Ziploc baggie. If you’re staying at least a few days at your hotel, especially if you’re traveling on business, using the hotel’s laundry services is a very convenient, albeit expensive, way to get your clothes clean. Such services are particularly great for business attire like suits that need to be pressed. If you’re feeling a little adventuresome and you have a good book to read, consider finding a local laundromat. This may pose a challenge if you’re staying at a resort (although the resort will likely offer washers and dryers) and you don’t have a rental car, and you might find some laundromats in a less safe neighborhood (since their patrons may be city apartment dwellers without their own washing machines). That said, most are perfectly safe, and will offer you a chance to visit the neighborhood. An option most people wouldn’t consider, but if you are used to having your clothes dry cleaned and your motel doesn’t offer laundry services, you can always drop your clothes off at a local dry cleaner. Be warned however, unlike your hotel (which will likely be far more accommodating about meeting your check-out deadline), a dry cleaner may wind up getting slammed and not be able to have your clothes ready for pick-up when you need them. Unlike at home when you can always return the next day, you might not have such a luxury if you’re needing to catch a flight that day. Made of thinner fabric. If you’re traveling during a colder season, consider wearing multiple layers with the inner layer being easy to wash by hand (and avoid the really bulky wool sweaters). Hand washable. 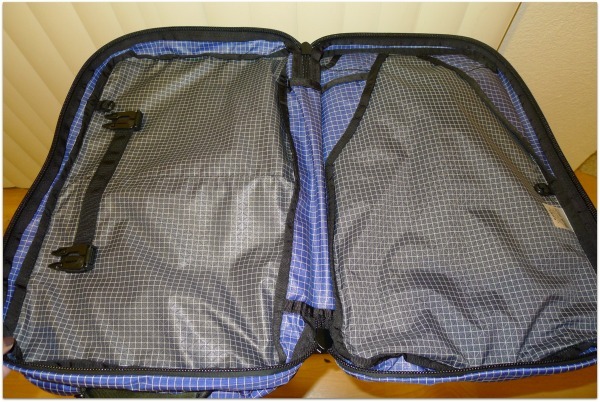 Avoid packing items that must be dry cleaned. Made of moisture-wicking material, like some synthetic fabrics (BackpackingLight.com has an interesting article comparing the drying speeds of different base layer fabrics, from synthetic Capilene to merino wool). One concern when washing by hand in your hotel bathroom is ensuring that your clothes are dry by the time you want to wear them again. This can be a particular challenge if you’re washing things like denim jeans or a fleece top. The first thing you can do is to put off washing those heavy items. Do you normally “go commando” when wearing jeans? Consider an undergarment as a layer between you and the jeans. Or if you normally just throw on a sweatshirt, consider wearing a thin T-shirt under it; it will let you wear the sweatshirt a few times before it needs to be washed. For those items that you do wash in the sink, how do you get them dry fast enough? If your hotel’s bathtub/shower has a spooled laundry line, that definitely helps. If you have room in your carry-on, you might consider packing a portable one yourself. However, just hanging your clothes on a clothing line doesn’t ensure quick drying. To that end, you can help it along. Let’s say you want to stay on your workout regimen during your trip, so you pack a workout outfit. Rather than pack a cotton T-shirt and a pair of athletic shorts, consider packing a tech shirt and a pair of compression shorts instead. Both of these are made of lightweight material that make drying much easier. Fill the sink with water to wash your clothes by hand. Photo by Lani Teshima. 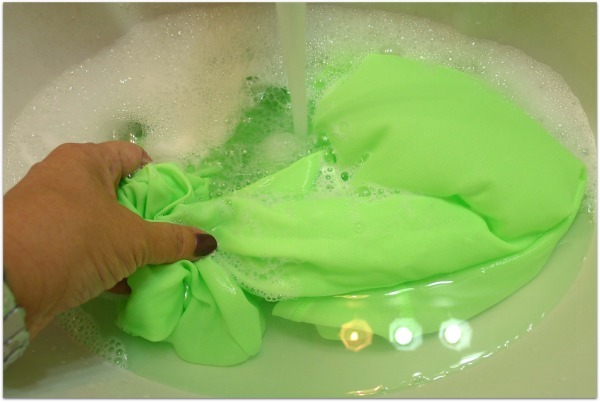 Fill the sink with water (use whatever temperature water is appropriate for your garment). Unless it’s lingerie, you can add some body wash or shampoo as your “detergent,” or even the hotel bar soap, taking extra time (and extra soap) on soiled spots (food stains, armpit area). Once your garment has been washed, it’s time to hang it to dry… or is it? First, wring your garment (note the washing instructions; some fine fabrics have warnings about not wringing or twisting them) like wringing a washcloth. Wring your shirt to get the water out of it. Photo by Lani Teshima. For me, a regular wringing is never quite enough. I find that folding the garment over the faucet and using the faucet as an anchor lets me wring out far more water from the garment. Anchor your garment to something steady like the faucet, then wring it out some more. Photo by Lani Teshima. After you’ve wrung the garment as much as you can, lay it out on a bathtowel. Lay your garment on a full-sized bath towel after you’ve wrung the garment out. Photo by Lani Teshima. Take one side of the towel and start rolling it such that you roll your garment in along with the towel (your garment is the cream in your towel’s chocolate Ho-ho’s cake, or the fish in your roll sushi). 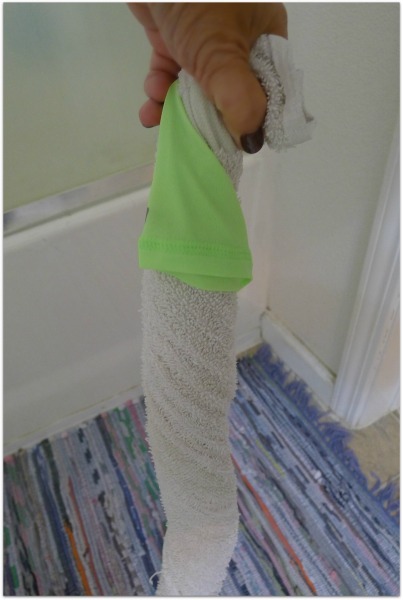 Starting with one end of the bath towel, slowly roll the towel (with the garment) until the towel is completely rolled up. Photo by Lani Teshima. 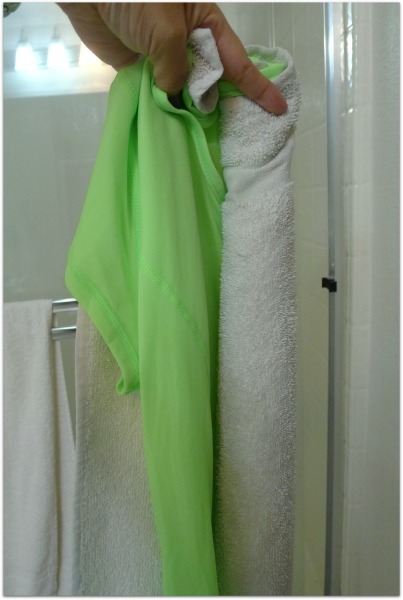 Once you’ve completely rolled up your bathtowel, you can now wring the towel with your garment inside. You can even step on the bottom end of the bath towel with your foot, which allows you to use both hands to wring the towel very effectively. Wring the towel with the garment rolled inside. Photo by Lani Teshima. Most of the moisture left in your garment will get transferred into the towel as you wring them out, leaving your garment as dry as it would be when it comes out of the spin cycle of a washing machine. This almost ensures that your garment will be totally dry by the next day! 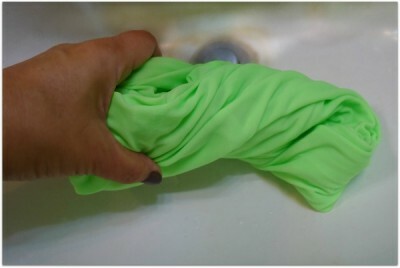 This method is most effective on things like T-shirts, but you can use it for your underwear as well. Website Infowars.com has declared this Thanksgiving week as “Out Opt and Film Week,” similar to an opt-out protest held two years ago around TSA check-points at U.S. airports. Website Infowars.com is rallying its readers to opt out of full-image scanners for Thanksgiving week. To be honest, I hadn’t heard about this protest until I read about from Christopher Elliott’s post at Huffington Post. I know why people want to opt out of backscatter machines. They’re untested, apparently thwartable, too expensive (over a quarter million dollars each), and lend themselves to the security theater that people consider an airport security check is. The protest being called for this week is designed to cause bottlenecks, to make a point. In the many times I’ve flown, I’ve only gone through a backscatter machine once. All other times, instead of opting out, I try to seek out the queue that leads to the older metal detectors. Will I opt out of a backscatter machine? I’m flying this weekend on a direct flight. I likely won’t be running late, so I might consider it. Or I might just try to get into the queue that leads to the older machines. I’m just not sure making a fuss about it at the airport is an effective way to protest. What do you think? Made-in-America bag manufacturer Tom Bihn this week introduced a brand new version of his popular Dyneema nylon fabric. The 400 denier weight 400d Dyneema is roughly twice the thickness of the maker’s popular 200d Dyneema nylon. While introducing a thicker fabric may seem ho-hum to you, what is news for fans of his travel bags is that for the first time in the history of Tom Bihn, we are now able to purchase his main carry-on travel bags—the Aeronaut, Tri-Star, and Western Flyer—using this new Dyneema for its exterior fabric. The Tom Bihn Aeronaut is now available with a Dyneema nylon exterior. Image courtesy of TomBihn.com. The Aeronaut has been available in ballistic nylon for many years. Image courtesy of TomBihn.com. Even with this new 400d version being thicker than the original fabric, the Bihn bags that use this new Dyneema is roughly 20 percent lighter than their ballistic nylon counterparts. This actually proves to be essential if your plans involve flying to Europe; many airlines (including Virgin Atlantic) not only have size restrictions, but weight restrictions that they actually enforce when you check in at the airport. If you are only allowed 13 pounds for your entire carry-on, for example (see my attempts to travel with just such a restriction in “The Ultra-Minimalist Packing List: How I Packed for Europe“), saving 20 percent makes a significant difference. For example, the ballistic nylon Aeronaut is listed as weighing three pounds; the Dyneema version can take over a half pound off. The ultralight packer’s favorite, Tom Bihn’s Western Flyer, weighs two and a half pounds, which means its Dyneema version will be a featherlight two pounds. Although it will be possible to beat two pounds by using extremely lightweight bags made of materials like parachute nylon, my opinion is that the 400d Dyneema version is going to provide the level of security and sturdiness Bihn bag owners have come to expect. Best of all, the bags in Dyneema are priced the same as their ballistic nylon siblings, leaving the choice up to you whether you want to go for heavier and sturdier, or lighter. If you’re hoping to pick up a carry-on bag right now, you’ll need to hang tight: The Aeronaut, Tri-Star, and Western Flyer are all on pre-order and are not expected to ship until well into November. The popular Synapse backpack is also on pre-order, but the Bihn website reports that it is shipping soon. Can’t wait? You can pick up a Swift (knitter-friendly tote bag) right now. There’s a new product on the market that lets you flavor a glass (or bottle) of water. Called Mio (“mee-yo”), what makes them different from products like Kool-Aid or Crystal Light mix is that Mio already comes in liquid form. The bottles contain a little over 1.5 fluid ounces, and yield roughly two dozen “servings” (each serving can flavor a 16-ounce bottle), which makes them highly concentrated. 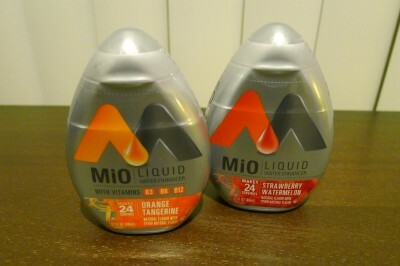 Mio flavored water enhancers come in various flavors, in small bottles with flip-top lids. Photo by Lani Teshima. Made by Kraft Foods, Mio comes in Berry Pomegranate, Sweet Tea, Peach Tea, Mango Peach, Orange Tangerine, Fruit Punch, and Strawberry Watermelon. In addition, you can get Mio in two “energy” flavors in black bottles (with caffeine and vitamin B) in Black Cherry and Green Thunder flavors. Having tried all of the flavors, my favorite are Orange Tangerine and Fruit Punch. The most disappointing is the Green Thunder; I’d hoped it would taste like Mountain Dew, but instead, tasted just nasty (at least to me; your mileage may vary). It’s been years since I’ve had regular sugar sodas; I’d switched over to zero-calorie alternatives for many years (with my favorite flavors being Coke Zero and Diet Mountain Dew), but earlier this year, I decided to cut out carbonated drinks from my diet. Between wanting to avoid sugared drinks and carbonation, I discovered that my options became pretty limited when I dined out. So these days, I usually carry a bottle of Mio with me. Trips to places like Disneyland no longer mean spending $3 each time I want to buy a bottle of water or soda; I refill my water bottle, then add my own flavoring if I want more than plain water. If you’ve traveled overseas, you might have noticed that soda is very expensive in many countries. It’s rare to be able to find a 64-ounce Giganto-Gulp for the equivalent of 50 cents, for example. Instead of paying a lot for soda (or having trouble finding diet soda), consider packing a bottle of one of these “liquid water enhancers” on your next trip. The best part is that these bottles are small enough to fit in your 3-1-1 toiletry kit. Which brings me to my main tip: Repurposing the bottles to store your liquid toiletries. The flip-top lid reveals a rubberized opening on the bottle. Photo by Lani Teshima. Besides the appropriate size, Mio bottles have a unique opening. Instead of the traditional screw-top lid, Mio bottles have a flip-top lid that you can easily open with one hand. When you pop the lid open, you can see how the liquid comes out: the opening is a small piece of flexible silicone with a tiny opening that lets you control how much to squeeze out. When you flip the top back on, the top has a stopper that prevents any liquid from squeezing out of this rubberized opening. This means that the flip-top cap is enough to keep the contents from spilling—which is a good thing, because you don’t want to accidentally spill concentrated fruit punch over your nice clothes. Generic or in-store brands of liquid water enhancers offer the same level of concentration as Mio, but come in flat-top bottles. Photo by Lani Teshima. So these Mio bottles themselves make pretty good repurposed toiletry bottles, but I actually have an even better tip: Go buy yourself a generic version of these flavored water enhancers. At least where I live in Northern California, I’ve found store-branded versions at Target, Wal-Mart, Safeway, and Raley’s; I suspect you should have no trouble finding these in your local supermarket or box store. 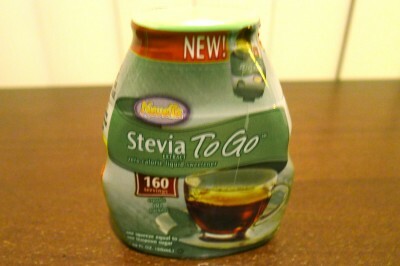 The same bottle technology is used for other concentrated liquids, like this bottle of Stevia To Go (a natural plant-based zero-calorie sweetener), sold at WalMart. Photo by Lani Teshima. If you look around, you’ll even discover that this flip-cap bottle is being used for things other than just water enhancers. 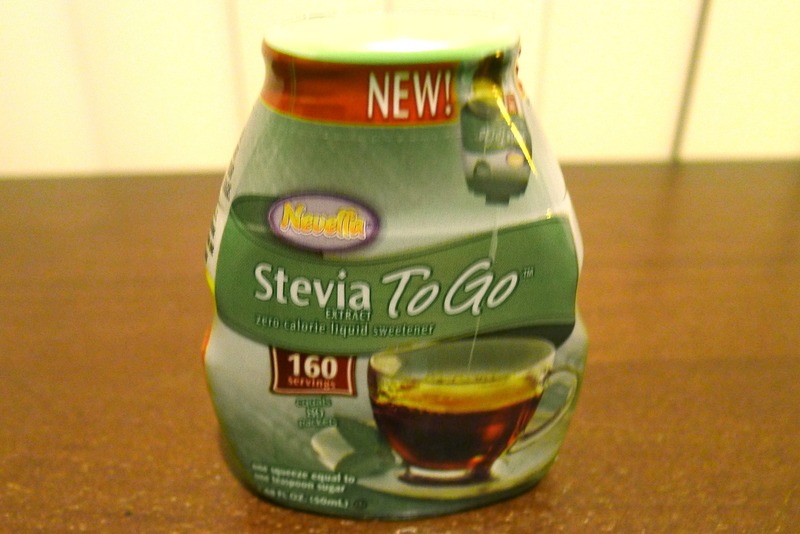 WalMart sells concentrated liquid stevia (a plant-based no-calorie sweetener) in green bottles. 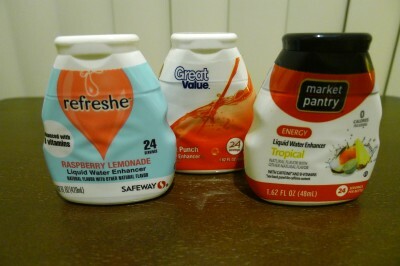 Some WalMart stores also sell liquid sucralose (a generic version of Splenda) in yellow bottles, and something called liquid “monk fruit” (in tan bottles)—a popular no-calorie sweetener from Asia—by the same manufacturer, giving you three more color options than the more common white (and black) bottles. All of these bottles use label wrappers rather than printed graphics or adhesive labels, making the removal of labels a cinch. Photo by Lani Teshima. The great thing about these bottles, for reuse purposes, is that they all use wrapper labels instead of adhesive labels, or printed graphics. What this means is that it’s extremely easy to remove the label (no label-soaking required). 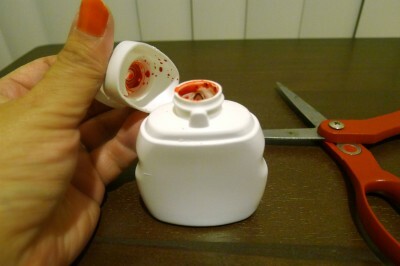 The trickiest part of the operation is removing the dispenser cap from the bottle. Photo by Lani Teshima. Once you’ve removed the label, you get to the trickiest part of the operation: Removing the actual dispenser cap from the bottle. 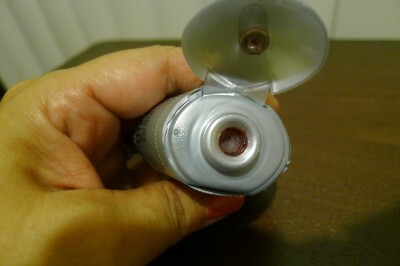 It helps to remember that this bottle doesn’t leak—so the dispenser cap is connected to the body of the bottle as a very tight snap-on, and is not designed to be easily removed. Take a careful look at the bottle. You should see a hairline seam about an inch below the top of the bottle. More than likely, you will not be able to twist or snap the dispenser cap off the bottle. Instead, you might need to take a pair of scissors or a butter knife into the seam to get some leverage to pop the cap off. Be extremely careful when you pop the cap off. Some flavors, like strawberry watermelon and fruit punch, are very bright, and could easily stain your clothes. Removing the dispensing cap is such a pain that once you’ve cleaned out the bottle, it’s easier to (re)fill the bottles using a syringe. Photo by Lani Teshima. 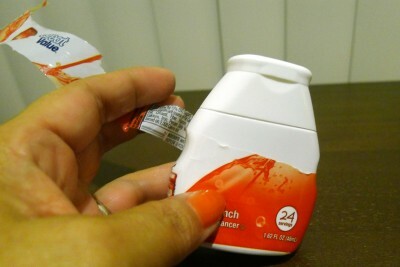 Once you’ve popped off the dispenser cap, rinse the inside of the bottle clean from any flavor syrup (including the underside of the dispenser cap). 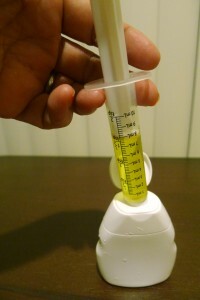 If you don’t want to deal with popping the cap off each time you refill the bottle, an alternative method for refilling is to use a syringe to pump your contents in through the dispenser hole itself. I use one of those oral medication syringes for children. Because the dispenser hole is flexible, I could easily pop the end of the syringe into the bottle and refill it with ease. You can then add your own label or use a permanent marker to note what the contents are, and you’re set to go. And because the bottles are opaque, you can even fill them with light-sensitive products like serums and some creams. The single, most compelling reason to go with a store brand over Mio: The ability to stand the bottle upside down. Photo by Lani Teshima. And the whole reason I recommend using store brands over Mio comes down to this: generic store brand bottles use a flat flip-top design that lets you rest the bottle upside down (whereas the tops of Mio bottles are rounded and cannot stand on its own upside down). This is the best feature when you’ve filled these bottles with thick liquid like shampoo, because it lets you rest the bottle upside down, ensuring that the liquid will always be resting on the bottom and thus avoiding that tilt-and-wait problem you get with a half-empty bottle of thick liquid. 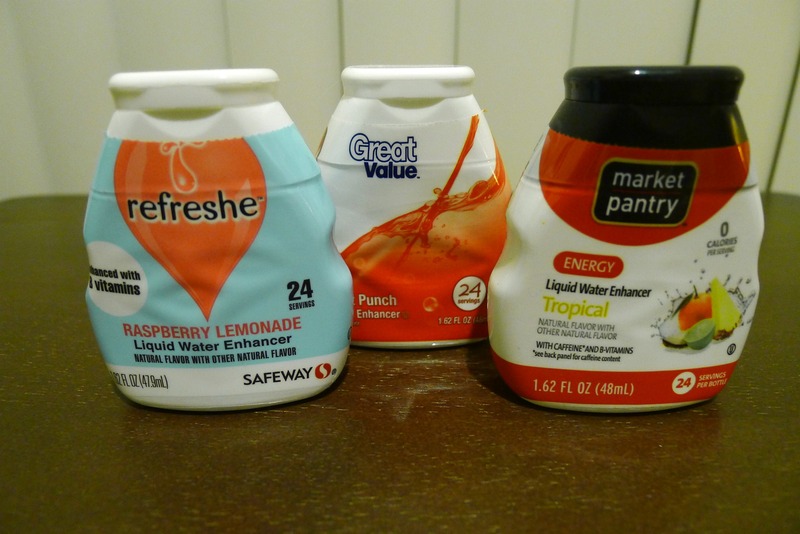 A portable way to keep your favorite flavor with you, a way to save money over buying bottles of soda, and a great way to carry toiletries. How could you lose? Available from Amazon, as well as grocery stores an supermarkets, typically for around $3 to $4. Store brands are slightly cheaper.